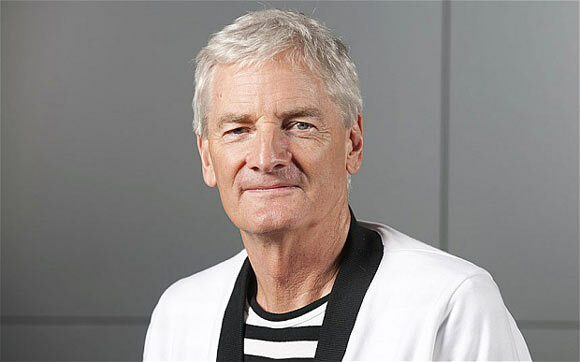 James Dyson was born on May 2nd, 1947 in Cromer, England. He received his early education in Norfolk. He went to Byam Shaw School of Arts for a year and then was advised by his career counselor to become an estate agent. He ignored that and moved to London to pursue courses in furniture and interior design from Royal College of London from 1966 to 1970. On graduating from RCA, he got employed at an engineering firm where he designed his first project; the high speed landing craft. In 1979, James bought the best vacuum cleaner of that time. Upon using it he realized that his machine was losing suction and was getting clogged. His frustration towards the machine drove him to re-engineer this technology. One day, while on a visit to a sawmill, he observed the removal of sawdust from air by industrial cyclones. That very moment he decided to use the same principle on a smaller scale in a vacuum cleaner. He took this as a challenge and after some real hard work he invented the world’s first ever vacuum cleaner without a bag. It took him 15 years of perseverance and more than 5000 prototypes before he launched the Dyson Limited to produce his design when all the other manufactures refused to make it. Within 18 months, the vacuum cleaner became the best selling cleaner in the United Kingdom. In 1986, Dyson got this technology patented and soon after it won the International Design Fair in Japan. He then moved global and launched the cleaner in USA in 2002. In just a span of three years, the cleaner captured 20% of the market. Frustration for him was the mother of invention. More or less all of his inventions were out of frustration. In 2006, he introduced the Dyson Airblade which is a hand drying technology for public restrooms. One of his major innovation was in 2009, when he developed the “Air Multiplier” technology is the first new thing in fans after more than a 100 years. James Dyson played a major role in vanishing the everyday product disappointments one has to face. In 1974 he developed the Ball-barrow, a water filled plastic garden roller which won the “Building Design Innovation Award” in 1977. He has won awards globally and is still winning. He received the “Prince Phillip Designers Prize” in 1997; “Lord Lloyd of Kilgerran Award” in 2000 just to name a few. University of Bath honored him with a doctorate degree in Engineering in 2000. Five years later he was chosen as a Fellow of the Royal Academy of Engineering and exactly two years from then was appointed as a Knight Bachelor in the New Year Honors. His effort of making things better has helped him achieve sales of more than $10 billion worldwide. When asked by a correspondent of the Harvard Business Review about how would he describe his profession? He replied by saying: “I’m sometimes called an inventor. But actually there’s no such thing. You’re an engineer or scientist who develops technology to create something new and better. I’m also keen on design; I started as a designer. I see them all as one, joined-up profession”. This clearly shows how clear he is in achieving what he wants and saying that frustration, for him, was the mother of invention would not be wrong. Dyson exports his products to more than 50 countries and has approximately 2,500 people working for him globally out of which mostly are scientists and engineers. He is working really hard, with his team, to eradicate the everyday frustrations from our lives.